Factory A is a very reliable one. We worked with them for years on rugged phones. Last month, we received an urgent order from an old customer for 100 units. These needed to be handed over in only five working days. So, we placed the order and pressured Factory A for a fast lead time. They handed over on time, and we shipped them to the customer after only a partial inspection, again due to short leadtime. After 2 months, lots of issues like screen, earphone etc. appeared. These never happened for the sample! After questioning, the factory admitted they did not use their usual parts suppliers, but instead purchased on the open market, due to the short lead time and small quantity. The factory did agree to swap phones for us, and that is to their credit. But it is still a big disaster for our customer‘s satisfaction – the most valuable thing to us . We took a partial inspection only for this one time. The failure rate is much, much higher than before. In the future, no matter how rushed we are, a full inspection can’t be skipped. We thoroughly tested the sample, but the product was still in an early stage. Of course, there might be more bugs than a mature product. This doesn’t mean we can’t buy early stage products. 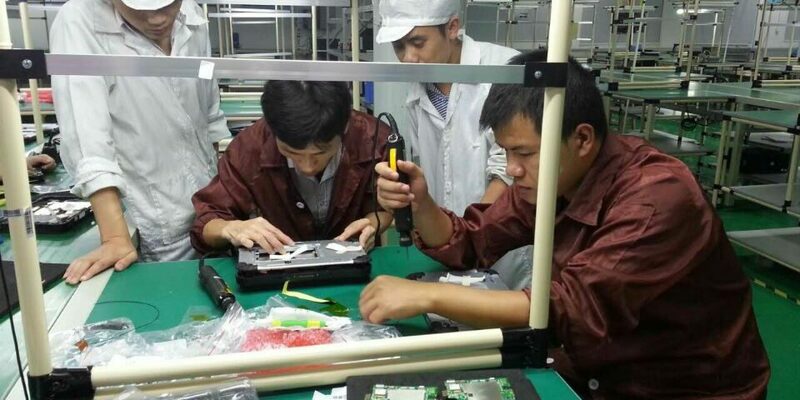 But at first, we must be even more careful for quality in assembly and inspections.